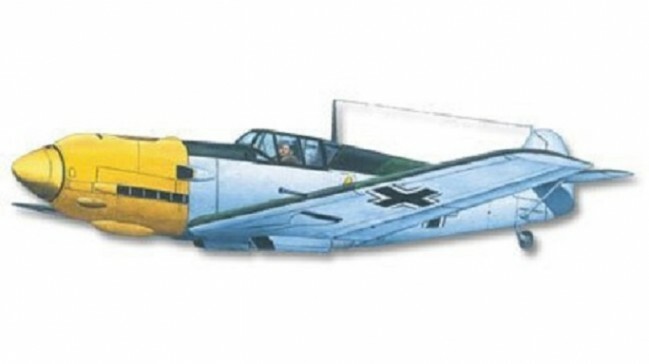 No Battle of Britain set would be complete without the classic ME109. A design born out of simplicity and function but still with character. Constructed from the time-honoured ‘stick and tissue’ building technique, she holds no fears to the moderately skilled builder and will reward you with a surprisingly scale model that flies superbly. The kit contains all that you need except glue, dope and paints. There’s even an undercarriage for static display. It can be used for flying as well but will severely limit performance and is prone to damage. At 412mm span she’s the smallest in the Wingleader range but the full-size was pretty ‘compact’ as well and that proved to be no limitation. Many thousands of ME109 were built in the war so why not make the Wingleader version another one? Kit includes: Printed balsa wood panels, stripwood, Plan and instructions, plastic Propeller & rubber motor, wheels, wire, moulded canopy & spinner, decals and tissue.